Slapped The Movie surprised me. Another take on the body switch film it is an amusing take on the genre. The plot of the film has best friends Alex (director Alex Magaña) who is in-shape and lonely and Matt (Matt Lowe) who is overweight, irresponsible and well-loved switching bodies after encounter with a homeless man. As they realize that the other’s life isn’t what the imagined they have to find a way to switch back to who they really are. Low brow humor mixes with high ideas in a film that is for the most part pretty good. While some of the jokes were not for me, the cast of characters, especially Alex and Matt are engaging enough that you’ll want to keep watching even. Director Magana clearly wants to do more than just want to take us through the typical twists and turns we see in body switch films. If there is anything I could quibble about is the two hour run time. Several bits go on a bit too long and a while trimming the film back to say 90 minutes would probably mean the loss of some funny bits but it would make for a tighter film. 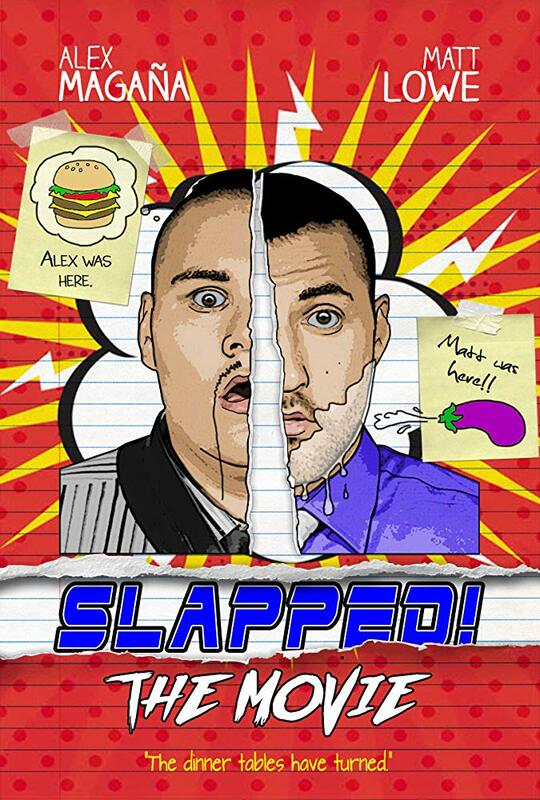 Currently streaming on Amazon Prime, Slapped is worth a look.